Your data center is more important than ever before in today’s digital-centric world. An outage at a mission critical facility can result in hundreds of thousands of dollars in losses. Our M&O Stamp of Approval Program incorporates the learnings of over 20 years of site visits at critical facilities around the world into best practices to help data center owners and operators introduce consistency, transparency and industry best practices into their data center management and operations processes. 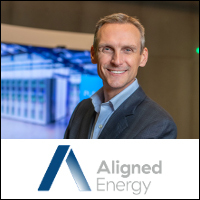 Achieving Uptime Institute's M&O Stamp of Approval validates that Aligned Energy’s mission-critical infrastructure meets the highest industry standard for operational excellence and upholds our responsibility to ensure consistent, transparent data center management and operations processes. Our team is laser-focused on eliminating risk and cost exposure, as well as applying best practices across our facilities and operations, demonstrating our ongoing commitment to existing and future customers. El Uptime Institute es la validación de los procesos, los controles, el programa de capacitación, nuestro equipo y todo lo que hemos implementado, para convertirnos en los mejores operadores de centros de datos de la industria. It's a benchmark against other data center operators and that was the main initiative and drive for achieving M&O Certification and committing to M&O Certification across the portfolio. Veo tres claros beneficios del M&O Stamp of Approval de Uptime Institute: una metodología comprobada para evaluar prácticas de operaciones, la validación de nuestro programa por medio de un punto de referencia apoyada por un tercero de alto nivel, y la promoción por parte de una organización mundialmente aceptada y reconocida. Cyxtera chose to sign up our entire portfolio to ensure that all of our data centers were consistent and that, no matter where our customers went, and in what countries we operate, that we'd have a consistent operation. This independent assessment of RBC's maintenance and operations processes ensures an objective evaluation. A testament that we are on the right track for best in class in the eyes of our peers and stakeholders. Questions about the M&O Program? Fill out the contact form below and one of our M&O experts will follow up with you right away. We will contact you soon regarding your M&O Stamp of Approval inquiry. Human error is responsible for a majority of all data center incidents. In fact, bad operational practices are 500x more likely to negatively impact a data center than any other cause. The M&O Stamp of Approval is a holistic assessment of staffing and organization practices, maintenance and operations activities, and management and planning - aligned with business objectives of risk reduction, reduced downtime and operational efficiency. Driving consistency and operational excellence across a portfolio of data centers is exponentially more difficult than managing just one. Technical and organizational complexity multiplies as you move to multiple sites, regions, and countries where codes, cultures and climates differ. Our M&O Program understands these challenges and provides a framework to address them with consistent, repeatable processes. Un reciente análisis de Uptime Institute que cubre 20 años de datos de incidentes anormales por parte de sus miembros demostró que el fallo humano es la causa de más del 70 % de todos los cortes de los centros de datos. Our M&O Program helps you create better process and drive collaboration to establish better communication across levels and departments, resulting in more robust procedures, more consistent behaviors, and the adoption of industry best practices in your team. Operational excellence is in large part about maintaining discipline and consistency over time and constantly adapting to changes in the environment. Our M&O Program helps critical facility teams align their practices around operational excellence, providing them with the process, procedures and industry best practices that scale across groups, departments, and cultures to create discipline and a culture of continuous improvement. The M&O Stamp of Approval Program helps data center owners and operators introduce consistency, reduce risk, and build a culture of continuous improvement in their critical facilities, whether they operate a single facility or manage a global portfolio. Cyxtera Technologies discusses why they chose to implement the M&O stamp of approval across their full portfolio of global data centers. T5 Facilities Management discusses how the M&O Stamp of Approval helps them differentiate their product offering from other colocation providers. CNA Insurance explains why they offer better insurance policy terms and rates to data center owners who earn the M&O Stamp of Approval. Laying the blame of human error on front-line operators ignores the influence of upstream decisions, resource allocation, and organizational culture. That’s why the M&O Assessment takes a holistic view that covers multiple criteria in five categories. Assessment of documented site policies, financial processes, reference library of site and process documentation and a capacity management plan. Assessment of staffing plan and processes, documentation of qualifications by role and documentation around organizational charts and escalation paths. Assessment of staff training plans around methods of procedure (MOPs) including standard operating procedures (SOPs) and emergency operations procedures (EOPs). Assessment of operating set points and load management procedures in the facility. Assessment of maintenance plans and procedures including vendor support plans, predictive and deferred maintenance, life-cycle planning for equipment and facilities and failure analysis programs. More than 140 data centers globally have been awarded the M&O Stamp of Approval, recognizing their excellence in managing and operating critical facilities. Uptime Institute's M&O Program allows clients to reduce risk related to human errors which account for the majority of downtime incidents, while also achieving business goals around higher resource utilization, increased efficiency and overall operational sustainability. Looking for More Information on the Uptime Institute M&O Stamp of Approval?